Broadly speaking, fintech is a generic term used to denote either innovative financial technologies themselves or start-up companies that provide digitally enabled financial services. Pundits disagree on its origins, with some saying the term was coined by Citibank in the 1990s to talk about collaboration with third-party providers. 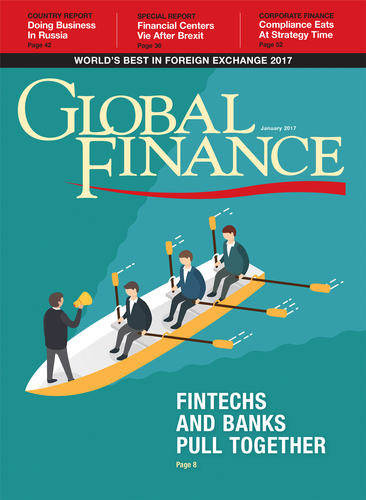 The term is often used to specify relatively small, agile start-ups in digital finance that emerged following the 2008 global financial crisis. But for some, it only applies to financial technology companies with “disruptive” business models. A digital record of who owns what assets (financial, legal, physical or electronic). It provides a single source of the truth in distributed environments across multiple sites, geographies or institutions where you need to be certain about the correctness of data. As a single, shared ledger, all participants within a network have their own identical copy of the ledger. Any changes to the ledger are reflected in all copies in a matter of minutes or, in some cases seconds, and the use of cryptograhic keys controls who can do what within the shared ledger. A form of distributed ledger that automates trust between disparate transacting parties, removing the need for a middleman or third party (bank or clearinghouse) that typically sits between a buyer and seller. The term blockchain was first used to describe the ledger used by digital currency provider bitcoin. Bitcoin transactions are aggregated into “blocks,” which are added to chains of other blocks using cryptography. The Bitcoin blockchain is “permissionless,” otherwise known as public; in other words anyone with computing power and access to the internet can add a block of transactions if they can “solve the cryptographic puzzle.” However, in the financial services space, banks are experimenting with private blockchains where all participants are known. Some argue private blockchains go against the open and democratic nature of the blockchain as embodied by Bitcoin. Privately held, relatively young companies with valuations of more than $1 billion. An event where computer programmers meet to do collaborative computer programming. New solutions such as mobile banking apps might be coded from scratch, for instance. The goal is to end up with a working prototype. Virtual or digital currencies, like bitcoin, that are used as a medium of exchange. Cryptography is used to secure the transaction. The “mind” at work in machines that perceive their environment and take action to maximize the chance of achieving a particular goal. Applications of AI in financial services include fraud detection, cybersecurity, IT help desks, customer queries and human resources. A type of artificial intelligence by which computers can learn without having to be programmed by a human. Fintech unicorn Kabbage uses machine learning to build credit-risk models to assess loans for small business. Software algorithms that provide tailored financial advice or portfolio management via digital channels.